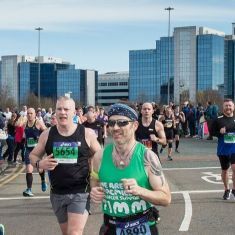 Join Team Macmillan at this iconic half marathon, taking you from the centre of Newcastle, through Gateshead to the stunning coast line of South Shields. 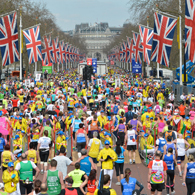 With over 55,000 runners this race fills fast, so don’t miss out. Our charity places are a great way to make a difference to people affected by cancer with every step. We ask that you pledge to raise a minimum of £395 in sponsorship (excluding Gift Aid) and there’s a £49 registration fee. To enter, simply click the 'Get a place’ button and complete our online entry form. If you've been lucky enough to secure a place in the Great North Run public ballot and would like to use your place to join Team Macmillan, then please click the 'I have my own place' button to join the team and order your running kit. Our bumper fundraising pack, with and loads of fundraising tips and ideas. Access to our online training zone . Regular e-newsletters to keep you up to date with Macmillan's news and activities. Most importantly we will provide you with a reason to put in those months of training and fundraising, because you know that your efforts will help everyone with cancer live life as fully as they can. Please make sure you read our Terms and Conditions before signing up. You must be 18 years of age or over on the day of the event in order to take part. I have my own placeIf you've already got your own place through the public ballot and want to fundraise for Macmillan. Get a placeJoin the team today! 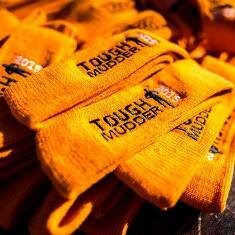 £49 registration fee and pledge to fundraise £395.